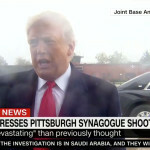 President Trump and the first lady will travel to Pittsburgh on Tuesday in the wake of a deadly shooting massacre at a synagogue, White House press secretary Sarah Huckabee Sanders said Monday at a press briefing. 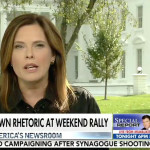 White House communications adviser Mercedes Schlapp on Monday called for unity in the wake of a shooting massacre at a Pittsburgh synagogue over the weekend, while also criticizing Democrats and the media for calling out President Trump’s inflammatory rhetoric. At least eight people were killed in the shooting at the Tree of Life Synagogue in Pittsburgh, according to reports. Three officers were shot and a suspect is in custody. Trump said he would speak about the shooting further at an event later Saturday. 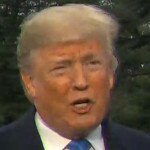 President Donald Trump on Friday criticized the media for being “unbelievably unfair to Republicans,” saying that he could “tone it up” because of that treatment. “Well I think I’ve been toned down, if you want to know the truth. 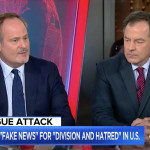 I could really tone it up because, as you know, the media’s been extremely unfair to me and the Republican Party,” Trump said hours after the FBI arrested a suspect in connection to the mailed pipe bombs sent to prominent Democrats and CNN this week. A trail of DNA evidence on the packages or the devices helped investigators narrow a nationwide manhunt to Cesar Sayoc, a 56-year-old man from Aventura, law enforcement sources told the Miami Herald. Sayoc was being questioned by FBI agents with the Joint Terrorism Task Force following his arrest.